Hello everyone, my name is George Salas. I love to travel and whenever I go out of town, I always hope to do a little shopping. This trip to Clark Pampanga was about golf and a dinner with college friends, like a reunion but not that formal. 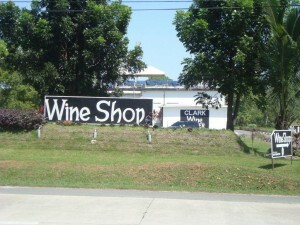 Actually I discovered this wine shop right after I entered Clark Freeport Zone. But I didn’t go in because (1) it was a little early and (2) I didn’t want to be late for golf. I tend to lose track of time when I shop, especially in a wine shop. Golf in Clark is always fun. The condition of the golf courses was not fantastic but it is always nice to play somewhere away from Manila, makes you forget about things at work. There was a gap of 3 hours between golf and dinner. My friends hurried off to a nearby spa for a much needed massage in Clark. I drove back to this wine shop in Clark for some much needed shopping. The wine shop is called Clark Wine Center. This wine shop is a huge place, a whole two-story building filled with wine. I later found out that there were over 2500 selections of wine in this wine shop, most of them never seen in Manila. It took me less than 5 minutes to realize that I was going to be in trouble. This wine shop in Clark is better than anything I have seen in Manila. It isn’t just the number of selections of wine kept in this wine shop that impressed me. What were so awesome about this wine shop were the vintages they had. There were so many bottles dating back to the 1970’s. There were wines from Burgundy, Bordeaux, Italy, Spain, Australia, Napa Valley, Germany, and practically all wine regions I could think of. The staff in the Clark Wine Center was not particularly knowledgeable. I wish he was better trained because that would make it more fun for people like me to do their wine shopping in this wine shop in Clark. But the bottles were already talking to me after 20 minutes in this wine shop. I was busy. So what was the damage? I spent a little over 20000. What did I bring home from this wine shop in Clark? 12 bottles of assorted wine, the most expensive bottle was a 1992 Beaune Premier Cru. Yes, I love my Burgundy red or white wine. Unfortunately, finding a good bottle of Burgundy wine in Manila is a great challenge. Finding one that is matured and ready to drink is practically impossible. Well, as you see by now, I was a happy camper. I took out one bottle – not my 1992 Burgundy of course – and shared it with my friends. We dined at a very ordinary Italian restaurant in Angeles City. They didn’t have good wine glasses. But they did not charge corkage so we did not complain. The food was ok but we did a lot of drinking. We ordered several bottles from the restaurant but they pale terribly in comparison to the wine I brought there. What was the wine I shared with my friends during dinner at this restaurant in Angeles City Pampanga? It was a 2007 Chianti Riserva, and yes, I bought it at the wine shop in Clark called Clark Wine Center. This wine shop is a must for visitors in Clark Pampanga who like to drink wine. 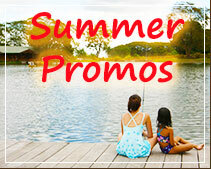 I strongly recommend it to our friends when they travel to Pampanga. I doubt we can find a better place to buy wine in Manila or Cebu. For the convenience of travelers with upcoming trips to Pampanga, Angeles City or Clark Freeport Zone, in case they plan to visit the establishments mentioned in the above review, here are the contact details. The editor of HotelClarkPhilippines.com wishes to thank George for making the effort to share with everyone some of his discoveries and experiences during their stay in Clark Pampanga. Although these are his personal comments and opinions, the information contained in them could benefit fellow travelers to Clark Philippines, especially first-time visitors staying in Pampanga Clark Freeport Zone. Thanks George for telling us about a good wine shop in Clark Pampanga.